The cause of these social skill difficulties varies, ranging from neurological impairment to the lack of opportunity to acquire skills (e.g., social withdrawal). Most important, these skill problems make it difficult for the child to develop - and keep - fulfilling personal relationships. Although social skill problems are a core feature of AS and HFA, many of these kids do not receive adequate social skills training. This is a sad reality, especially considering that the presence of social deficits may lead to the development of more damaging outcomes (e.g., poor academic performance, social failure, peer rejection, anxiety, depression, etc.). The lack of proper social skills training is particularly troubling given the fact that most of the associated deficits can be corrected. The long held notion that kids with AS and HFA lack an interest in social interactions is inaccurate. Most of these kids do indeed desire social involvement; however, they typically lack the necessary skills to interact effectively. This lack of “know-how” often leads to feelings of social anxiety. Many moms and dads report that social situations typically evoke a great deal of anxiety from their AS and HFA kids. Kids on the autism spectrum often describe an anxiety that resembles what many of us feel when we are forced to speak in public (e.g., increased heart rate, sweaty palms, noticeable shaking, difficulty concentrating, etc.). Not only is public speaking stressful, but just the thought of it is enough to produce a heightened state of anxiety. Now imagine living a life where every social interaction you experience was as stressful as having to make a speech in front of a big crowd. The typical coping strategy for most of us is to reduce the anxiety by avoiding the stressful situation. For kids with AS and HFA, social anxiety often results in the avoidance of social situations, and subsequently, the development of social skill problems. When a youngster continually avoids social encounters, he denies himself the opportunity to acquire social skills. For many kids on the spectrum, these social skill difficulties lead to negative peer interactions, peer rejection, isolation, anxiety, depression, substance abuse – and even suicidal ideation. For others, it creates a pattern of engaging in solitary activities (a pattern that is often difficult to change). So, what can parents do to help their AS and HFA children overcome social skills deficits? The first step in social skills training should consist of conducting a thorough evaluation of the youngster’s current level of social functioning. 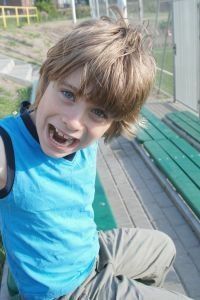 The purpose of the assessment is to answer one very basic question: “What is preventing my youngster from establishing and maintaining social relationships?” For most kids, the answer takes the form of specific social skill problems. For others, the answer takes the form of cruel and rejecting peers. And for yet others, the answer is both. The evaluation should (1) detail both the strengths and weakness of the child related to social functioning, and (2) involve a combination of (a) observation (e.g., watching how your child interacts with others, (b) interviews (e.g., talking to your child, his teachers, his peers, etc. ), and (c) standardized measures (e.g., behavioral checklists, social skills measures). Parents need to ascertain current level of functioning and effectively intervene at the youngster’s area of need. For example, if the evaluation reveals that your youngster is unable to maintain simple one-on-one interactions with peers, then the intervention should begin at this point, and not at a more advanced group interaction level. As another example, if the evaluation revels that your youngster does not know how to play symbolically - or even functionally - with play items, then the intervention will probably begin by teaching play skills prior to teaching specific interaction skills. After a thorough assessment of social functioning is complete, parents should then determine whether the skill problems identified are the result of “skill acquisition” issues or “performance” issues. A skill acquisition deficit refers to the absence of a particular skill or behavior (e.g., the youngster may not know how to effectively join-in games with peers, thus she will often fail to participate). A performance deficit refers to a skill or behavior that is present, but not demonstrated or performed (e.g., the youngster may have the ability to join-in an activity, but for some reason, fails to do so). In discerning between a skill acquisition deficit and a performance deficit, ask yourself the following question: “Can my youngster perform the task with multiple people and across multiple settings?” For example, if your youngster only initiates interactions with you at home, but not with peers at school, then you will need to address the initiation difficulty as a skill acquisition deficit. Too often, social skill problems and inappropriate behaviors are incorrectly viewed as performance problems (i.e., parents assume that when their youngster does not perform a certain task, it is the result of refusal or lack of motivation). Parents need to understand that the majority of social skill problems in kids with AS and HFA can be attributed to skill acquisition problems (i.e., they are not performing socially because they lack the necessary skills to do so). If parents want their kids to be successful socially, then they will need to teach them the skills to be successful. The benefit of discerning between “skill acquisition” versus “performance” problems is that it guides the selection of intervention strategies. The intervention selected should match the type of deficit present. Once a thorough social skill assessment is completed, and the parent is able to attribute the social deficits to either skill acquisition or performance issues, social skills training can begin. When selecting intervention techniques, parents need to understand the concept of “accommodation” versus “assimilation.” Accommodation refers to the act of modifying the physical or social environment for the youngster in order to promote positive social interactions (e.g., training peer-mentors to interact with the youngster throughout the school day, autism awareness training for peers, having the child participate in various group activities like the Girl Scouts). While accommodation addresses changes in the child’s environment, assimilation focuses on changes in the child herself. Assimilation refers to training that facilitates skill acquisition that allows the youngster to be more successful in social interactions. The key to successful social skills training is to address both accommodation and assimilation. Focusing on one, but not the other, sets the youngster up for failure. In other words, providing social skills training (i.e., assimilation) without modifying the environment to be more accepting of the youngster (i.e., accommodation) is a recipe for a failed training program (e.g., when an eager youngster attempts a newly learned skill on a group of non-accepting peers). What is the plan to evaluate the strategy’s effectiveness with the youngster? Is there research to support the use of this strategy? Is the strategy developmentally appropriate for the youngster? Does the strategy target the skill problems identified in the social assessment? Does the strategy promote skill acquisition? Does the strategy enhance performance? Once parents have (a) assessed social skill functioning, (b) identified skills to teach, (c) discerned between skill acquisition and performance problems, and (d) selected intervention strategies, it is time to implement the strategies. Parents cannot do this alone however. Social skills training should be provided in multiple settings (e.g., home, classroom, resource room, playground, community, etc.) and by multiple providers (e.g., parents, teachers, coaches, therapists, etc.). There is no “best” place to teach social skills, though it is important to keep in mind that the purpose of all social skills training should be to promote social success “with peers in the natural environment.” For example, if the youngster is receiving social skills training from a private therapist, it is crucial that a plan be put in place to facilitate transfer of skills from the clinic to the child’s natural environment. Moms and dads and educators should look for opportunities to prompt and reinforce the skills that are being taught in the clinic. The rate of social skills acquisition will differ widely from one youngster to the next. Some kids will begin using their new skills after only 3 or 4 sessions, while other kids may require over 6 months before they begin to “get it.” In any event, simply trying a new skill is just the first step towards success. The youngster will need additional time to master the skill that he is learning and developing. “Assess and modify” is the last stage in the intervention process, but it is not the last thing to think about when designing a social skills training program. As soon as parents are able to identify the social skill problems to be addressed, they should begin to develop the methods for evaluating the effectiveness of the intervention. For example, if the target of the intervention is social initiations, then parents and teachers should take baseline data on the frequency of initiations with peers, and then continue to collect data on social initiations throughout the implementation stage of the intervention. Accurate data collection is important in evaluating the effectiveness of the intervention. It allows all parties involved to determine whether the youngster is benefiting from the training, and how to modify the training to best meet her needs. In school settings, accurate data collection is especially important. When parents work with school staff, the focus should be on integrating the social skills program with the youngster’s behavioral and social objectives. Also, the “assess and modify” stage is typically a very important part of IEP development and implementation. From your description, I was confused by your example, and logically conclude that this is a performance deficit since the child has demonstrated they have the skill; just not performing it in the group setting at school. Do I misundertand?